Tecan is a leading global provider of laboratory instruments and solutions in biopharmaceuticals, forensics, and clinical diagnostics. The company specializes in the development, production and distribution of instruments and automated workflow solutions for laboratories in the life sciences sector. With its subsidiary REMP (www.remp.com), Tecan is the market leader in automated laboratory storage and logistics systems. Its clients include pharmaceutical and biotechnology companies, university research departments, forensic and diagnostic laboratories. As an original equipment manufacturer, Tecan is also a leader in developing and manufacturing OEM instruments and components that are then distributed by partner companies. Founded in Switzerland in 1980, the company has manufacturing, research and development sites in both Europe and North America and maintains a sales and service network in 52 countries. Tecan has unveiled its latest innovation, the automated RESOLVEX™ A200 positive pressure workstation for LC-MS sample prep. Tecan has introduced a selection of clear Liquid Handling (LiHa) disposable tips*, creating a one-stop shop for all your disposable tip needs. DiaSorin and Tecan Group have announced that they have agreed to collaborate in a development under which DiaSorin will make use of Tecan’s Fluent®Laboratory Automation Solution as its nucleic acid extraction platform. Tecan’s popular Infinite® 200 PRO series of multimode microplate readers has been updated to even better serve the life sciences market, with a number of new options and configurations designed to provide flexible and user-friendly solutions for entry level research applications. Tecan is helping to reduce waiting times for bulk sample identification with an innovative high speed barcode scanner for its Fluent® Laboratory Automation Solution. Tecan’s updated Spark® reader combines the benefits of a multimode microplate reader and a bright field imaging system in a compact package. Tecan is simplifying handling of biological fluids with the introduction of a wide bore version of its popular 1,000 μl Liquid Handling Arm™ (LiHa) disposable tip. Tecan is making it quicker and easier than ever before for manufacturers to develop instruments for advanced liquid handling applications. Tecan has increased application flexibility and walkaway times for genomics workflows. Tecan is making it easier than ever before to set up and miniaturize qPCR reactions. Tecan and CellSpring, a biotech spin-out from ETH Zurich, have announced a co-marketing agreement to automate the 3D Bloom® platform on a Freedom EVO® workstation. Tecan has unveiled a novel solution to help laboratories meet the stringent requirements of regulatory authorities such as the FDA and the EMEA. The ARNA Laboratory in Bordeaux, France, is using DNA and RNA aptamers to develop novel tools for biological applications. To increase throughput, the laboratory has automated its procedures on two Freedom EVO® platforms, as Inserm Research Director Dr Jean-Jacques Toulmé explained: “Our association with Tecan began when we decided to automate our selection protocols to allow us to screen large libraries of oligonucleotides. We generally perform two selections in parallel, consisting of between 8 and 15 runs. Researchers at the Complutense University of Madrid are using directed evolution techniques to develop new enzymes for a variety of bioprocessing applications. Tecan has launched a fully automated affinity purification solution for the extraction of large biomolecules, such as proteins, antibodies and antibody-drug conjugates. Tecan has launched the Spark® 20M multimode microplate reader, offering tailor-made solutions to suit virtually any drug discovery or advanced life science research application. The Wine Microbiology and Microbial Biotechnology Laboratory at the University of Adelaide has developed a customized solution offering fully automated sampling for yeast fermentations. 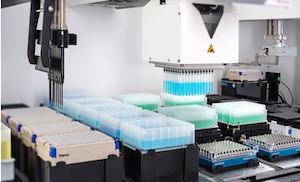 Tecan’s innovative Spark 10M multimode reader can now be combined with the company’s Connect™ microplate stacker to offer semi-automated batch processing of up to 50 assay plates. Phenomenex, Inc. and the Tecan Group (SIX Swiss Exchange: TECN) today announced a collaboration to co-market automated solid phase extraction (SPE) sample preparation solutions. Tecan’s Infinite® M1000 PRO multimode reader has helped liquid analysis specialist Aqsens to develop a portable testing platform for on-site quantitative monitoring of polymeric scale inhibitors in oil field-produced waters. The popular HP D300 Digital Dispenser – available from Tecan – now allows customers to titrate low volumes of biomolecules in aqueous solutions, offering greater flexibility for drug discovery workflows. Melbourne-based Genera Biosystems has been testing a HydroSpeed™ plate washer with its Sirocco™ multiplexed diagnostics automation platform, allowing rapid, efficient washing of its proprietary AmpaSand™ beads. Tecan has created a range of Cavro Disposable Tips for use with the Company’s popular Cavro brand OEM components. Offering customers a selection of premium consumables to complement their Cavro Omni Robot and Cavro Air Displacement Pipettor (ADP) options, these high quality tips have been developed and validated to ensure optimal performance and reliable operation. All Cavro Disposable Tips are manufactured to the same high quality standards as Tecan’s broad portfolio of consumables for life sciences customers, using state-of-the-art production processes and integrated quality control procedures to ensure consistent pipetting performance and provide complete peace of mind. This all-new platform is designed to offer greater flexibility and increased productivity for cell biology and genomics customers. From microbiology research and cell-based assays to rapid DNA quantification, the Spark 10M delivers a combination of advanced capabilities and exceptional ease-of-use to simplify your daily work. Tecan will soon be launching a new Fluent™ Laboratory Automation Solution designed to offer greater throughput and flexibility for compound management workflows*. Researchers at the National Institute for Environmental Protection and Research (Istituto Superiore per la Protezione e la Ricerca Ambientale, ISPRA) in Italy have been testing the TouchTools™ PCR Wizard with the Freedom EVO® PCR workstation to simplify complex genetics workflows. The Structure and Biophysics department at AstraZeneca R&D Mölndal, Sweden, is reaping the benefits of a recently acquired HP D300 Digital Dispenser for surface plasmon resonance (SPR) studies, saving time, enhancing consistency and using significantly less compound for dose-response experiments. With clinical laboratories increasingly turning to high throughput LC-MSMS analysis, laboratory automation specialist Tecan and RECIPE Chemicals and Instruments GmbH, a leading manufacturer of IVD/CE diagnostic products, have announced a co-marketing agreement for automation of LC-MSMS IVD kits. Tecan has introduced the Fluent™ laboratory automation solution, the latest addition to its world-class laboratory automation portfolio. Tecan has extended the flexibility of its popular Cavro® Omni Robot with the introduction of embedded control functions and the option to select single axis configurations. Tecan has introduced an innovative new consumable device offering increased throughput and capacity for Freedom EVO® workstations. Tecan has introduced a Dual Z arm for the popular Cavro® Omni Robot. GlaxoSmithKline’s quest for improved anti-malarial treatments has been revolutionized by the speed and reliability of the HP D300 Digital Dispenser. Tecan has launched a range of turnkey solutions designed to provide fast, simple and cost-effective automation of liquid handling tasks. Effective liquid level sensing is vital for many applications, helping to avoid erroneous results and reduce the risk of sample carry-over. The 2013 Jugend Innovativ competition saw Tecan collaborating with HLFS Ursprung and the Stiegl brewery to optimize the HybriScan™D Beer assay (Sigma-Aldrich) for the quality control of beer on an Infinite® M200 PRO multimode reader. The demand for ever-increasing throughput means that many laboratories are looking for solutions to increase the capacity of their automated systems. Tecan offers a wide range of laboratory automation solutions for mass spectrometry (MS) sample preparation, ensuring there is a system to meet your workflow and throughput needs. Tecan’s revolutionary NanoQuant Plate™ offers precise, straightforward absorbance and fluorescence-based measurements from sample volumes as low as 2 μl. Tecan has launched the TouchTools™ PCR Wizard, an easy-to-use Freedom EVOware® add-on offering straightforward automation of PCR reaction set­­up on Freedom EVO® platforms. Tecan has introduced a Cavro® ADP (Air Displacement Pipettor) module for the popular Cavro Omni Robot. The DNA Section of the Orange County Crime Laboratory (OCCL) in California, USA, has recently taken delivery of its first Air LiHa equipped Freedom EVO® workstation for DNA quantitation and amplification reaction set-up. Genia Geo, based in Montevideo, Uruguay, has chosen Tecan’s HID EVOlution™ system as part of its comprehensive forensic identification services for governments around the world. Tecan’s newly launched AC Extraction Plate is a revolutionary, automation-friendly solution designed to streamline sample preparation for LC-MS analysis of small molecules. A Freedom EVO® workstation with an integrated HydroSpeed™ plate washer and Infinite® F200 PRO multimode reader is helping researchers at Jikei University School of Medicine to perform high throughput compound screening in the battle to combat persistent bacterial infections. Tecan’s Infinite® M200 PRO microplate reader is helping researchers at the University of Salzburg, Austria, to monitor cell growth of microaerophilic bacteria. German company LCTech GmbH, a supplier of products and methods for sample preparation and analysis, has been using Tecan Cavro® components for many years and has incorporated a Cavro Omni Robot and Cavro XLP Pump into its latest FREESTYLE sample preparation workstation. Legionnaires’ Disease has recently been in the headlines due to a number of serious outbreaks around the world. A novel solution for analyzing 3D cell cultures, based on Tecan’s Infinite® M200 PRO and InSphero’s 3D InSight™ microtissue technology, is helping to reduce the cost of early phase drug development. Scientists at F Cubed have developed a novel molecular analyzer which relies on Tecan’s Cavro® Centris Pump and Cavro Smart Valve to offer straightforward identification of pathogens in a matter of minutes. BioSentinel has selected Tecan’s Infinite® F500 as the reader of choice for its high sensitivity botulinum neurotoxin (BoNT) assays. The Group uses qPCR profiling to study various aspects of KSHV, as postdoctoral research associate Pauline Chugh explained: "We use three main strategies to investigate viral tumorigenesis - viral gene expression, microRNA (miRNA) expression and viral load testing of clinical samples - based on 96 primer qPCR arrays. Performing the assays manually would be very labor-intensive, and so we use automation to provide the throughput necessary for these studies." A fresh approach to clean water with Tecan’s Infinite 200 Aug 13, 2012 Researchers in the Institute of Applied Microbiology at Giessen University, Germany, have developed a microplate-based assay for online testing of the effects of metal nanoparticles using an Infinite® M200 microplate reader from Tecan. Read and incubate your cells in parallel with Tecan’s enhanced Gas Control Module (GCM) Jul 28, 2012 Tecan has updated the patent pending Gas Control Module (GCMTM) for the Infinite® 200 PRO multimode reader to offer simultaneous control of O2 and CO2 concentrations, providing rigorous environmental control for an even wider range of cell biology applications. A winning combination for nephrology research Jun 28, 2012 Tecan's Infinite® 200 series microplate readers have proved to be a valuable asset for the Experimental Nephrology laboratory at the University Hospital of Münster, aiding the development of both cell-based and ex vivo fluorescence techniques for the investigation of cell membrane transport in the proximal tubules of the kidney. Tecan and Reinnervate team up for automation of 3D cell culture Jun 8, 2012 Tecan has signed a co-marketing agreement with Reinnervate, a leading company in the 3D cell culture market, to develop a range of automated solutions based on the Freedom EVO® liquid handling workstations and Reinnervate's Alvetex®Scaffold 3D cell culturing technology. New trough from Tecan to reduce reagent costs Feb 1, 2011 Tecan has launched a new 25 ml trough designed to reduce waste of valuable reagents in automated liquid handling applications. These troughs have a conical base design to minimize the liquid volume inaccessible to the liquid handling (LiHa) arm, reducing dead volume for conductive liquid level detection (cLLD) by a minimum of a third in comparison to Tecan's standard shaped troughs, and down to at least 500 μl for manual adjustment of tip positioning. Tecan Appoints Global Head of Human Resources Jan 31, 2011 The Board of Directors of Tecan Group (SIX Swiss Exchange: TECN) has appointed Markus Schmid as Head of Corporate Human Resources & Internal Communications and a member of the Management Board. He will assume the position at Tecan by September 1, 2011 at the latest. Schmid has been in charge of corporate human resources on an ad interim basis as an external consultant since October 2010..
Tecan launches innovative HydroSpeed plate washer Jan 28, 2011 Tecan has developed the HydroSpeed plate washer, an advanced system for optimized washing of cells, beads and ELISAs in 96- and 384-well formats. It offers full control over critical wash parameters via an intuitive touchscreen interface, with extra gentle drop-wise dispensing and tunable aspiration settings to help avoid loss of material and maximize assay efficiency. Seeing is believing – 3D scanning with Tecan’s Infinite M1000 Jan 18, 2011 Scientists at the Center for Integrated Protein Science Munich (CIPSM), based at Ludwig­Maximilians University Munich (LMU), Germany, have taken advantage of the 3D scanning capabilities of the premium Quad4 MonochromatorsTM-based Infinite M1000 microplate reader to investigate nanobodies. Tecan Group and Attana AB sign distribution agreement in North America Jan 18, 2011 The Tecan Group (SIX Swiss Exchange: TECN) and Attana AB today announced that they have signed an exclusive distributor agreement under which Tecan will distribute Attana's biosensor instruments and assay technology in North America. The agreement covers the Attana 100, 200 and Cell 200 instruments along with biosensors and accompanying assay reagents as well as service and support. Tecan and Enigma Diagnostics sign licence and collaboration agreement Jan 14, 2011 The Tecan Group (SIX Swiss Exchange: TECN), a leading global provider of laboratory instruments and solutions, and Enigma Diagnostics Limited, the decentralised and point-of-care molecular diagnostics company, announced today the signing of a licence and collaboration agreement. The licence provides Tecan with access to specific Enigma intellectual property that is used in Enigma's fully automated, molecular diagnostic system, the Enigma® ML. Tecan Infinite 200 PRO offers environmental control for cell-based applications Dec 16, 2010 Tecan has launched a Gas Control Module (GCM) for its Infinite 200 PRO multimode microplate reader, creating one of the most comprehensive solutions on the market for cell-based assays. Variations in environmental conditions can lead to inconsistent and unreliable data for cell-based optical studies, due changes in the pH and color of the media during incubation. Tecan’s HydroFlex improves plate washing for ELISpot assays Dec 2, 2010 Tecan's HydroFlex microplate washer has allowed hematologists at the Department of Oncology and Hematology, University of Modena and Reggio Emilia, Italy, to introduce automated washing for Enzyme-Linked ImmunoSpot (ELISpot) assays. Tecan and Covaris co-market Freedom EVO with Adaptive Focused Acoustics Nov 22, 2010 Tecan is collaborating with Covaris, Inc., a rapidly growing company providing advanced sample preparation solutions for life and analytical science, to co­promote the Freedom EVO® liquid handling platform with integrated Adaptive Focused AcousticsTM (AFA). This co-marketing agreement will allow customers to benefit from both the advanced capabilities of Tecan's Freedom EVO systems and Covaris' controlled non-contact acoustic sample preparation technology. Strengthening of the Tecan Group Executive Committee: Heads appointed for the two new business segments Nov 10, 2010 The Board of Directors of the Tecan Group (SIX Swiss Exchange: TECN) has confirmed the appointments of the heads of the two new business segments Life Sciences Business and Partnering Business. The new organization will come into effect on January 1, 2011. 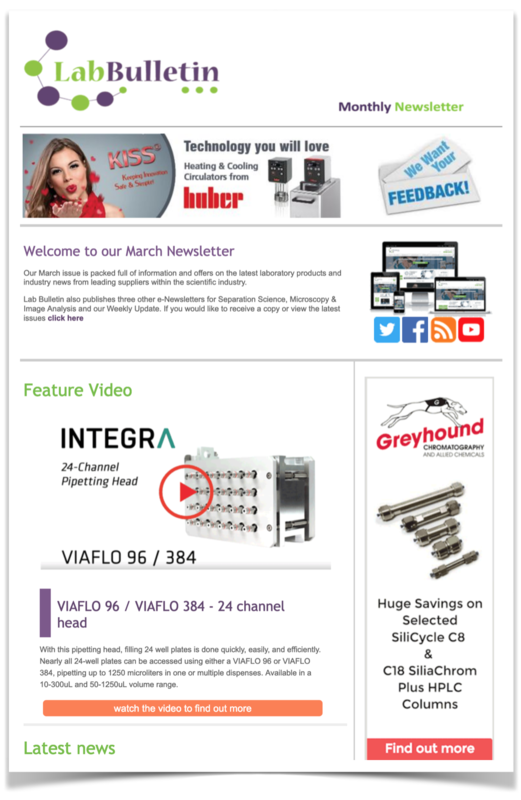 From macro to micro with the Tecan Cavro Mini Sample Processor Oct 1, 2010 IntegenX, Inc., California, USA, has used Tecan's Cavro® Mini Sample Processor (MSP) 9250 as the basis for an automated Sanger sequencing sample preparation platform. The Apollo 100 Sanger Sequencing Automation system uses the Cavro MSP 9250 to automate bulk liquid transfers, interfacing directly with IntergenX's patented MOVeTM microfluidic technology to enable users to work with small volumes, from 10 nanoliters to 100 microliters. Tecan’s Freedom EVO automates tropical disease research Sep 27, 2010 The Clinical Pharmacology Department in the Mahidol-Oxford Tropical Medicine Research Unit (MORU), Bangkok, Thailand, has chosen Tecan's Freedom EVO® platform to automate research into the pharmacology of anti-malarial and anti-influenza drugs. Tecan to present at UBS Global Life Sciences Conference Sep 16, 2010 The Tecan Group (SIX Swiss Exchange: TECN) today announced that it will present at the UBS Global Life Sciences Conference on Tuesday, September 21, 2010 in New York City. Tecan concludes the sale of the Sample Management activities to NEXUS Biosystems Sep 3, 2010 The Tecan Group (SIX Swiss Exchange: TECN) today announced that the sale of REMP AG, a wholly owned subsidiary of Tecan, as well as other related assets, to NEXUS Biosystems has been completed as planned. From September 1, 2010, the Sample Management business segment will no longer be consolidated within the Tecan Group. Tecan is first choice for quality and reliability Sep 3, 2010 The Regional Molecular Genetics Service (RMGS) at St Mary's Hospital, Manchester, is using a Freedom EVO® liquid handling workstation in combination with chemagen's proven nucleic isolation technology to perform fully automated DNA extraction. Tecan automation streamlines veterinary diagnostic processes Aug 26, 2010 The Landeslabor Berlin-Brandenburg (LLBB) in Frankfurt, Germany, is dedicated to the protection of human and animal safety, health and welfare, and has chosen Tecan's liquid handling workstations to help monitor diseases in cattle, including an extensive testing program for the eradication of Bovine Herpesvirus 1 (BHV-1). Automated cell biology workflows with Tecan and Miltenyi Biotec Aug 19, 2010 Tecan is working with Miltenyi Biotec, a leading provider of cell biology solutions, to develop a range of automated solutions for cell biology, based on the powerful MACS® Magnetic bead technology.